We regret to inform you that the Used Clothing Drive fundraising program is no longer operational. It is our hope that we will be able to reinstate the program in the future. We want to thank you for your interest in the Program and apologize for any inconvenience. We want to wish you the best of luck with all your fundraising efforts. Tired of asking people for money? 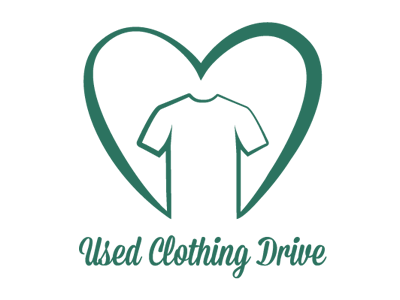 The Used Clothing Drive Fundraising Program offers your school a new approach to fundraising. Unlike traditional fundraising, the Used Clothing Drive does NOT involve asking anyone for money! There’s nothing to buy, nothing to sell and no money to collect. By simply asking people for stuff they no longer want or need, you will be supporting the environment and be helping your community. Aside from the financial benefit for the schools, our program also encourages student achievement, provides leadership opportunities and promotes teamwork, as the kids often help organize and promote either in their class or at a school-wide level. It also inspires, engages and empowers today’s youth to make a difference, develop active citizenship skills, and creates environmentally responsible citizens. The Used Clothing Drive is a national partner of The Salvation Army Canada and together we’re making a real difference in the lives of Canadians. Schools are reducing their community’s impact on the environment and supporting local and national services for those in need. Donations are gratefully received by the Salvation Army Thrift Stores, diverting millions of pounds of waste from local landfills. Items that cannot be sold in stores are efficiently and ethically recycled. Nothing is ever wasted! To request your free Program Overview, please fill out a Contact Us form on our website.